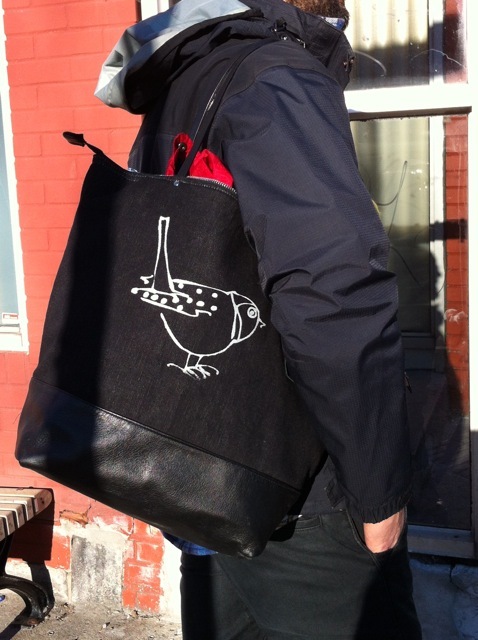 We were in Montreal for four days and I was able to give my new tote a thorough test drive. We loaded it up with all our purchases each day and it didn’t flinch. It is wide and deep, lined with durable canoe canvas with straps riveted and sewn–so it stood up to all the tests–even transporting une tarte aux bluets without incident! 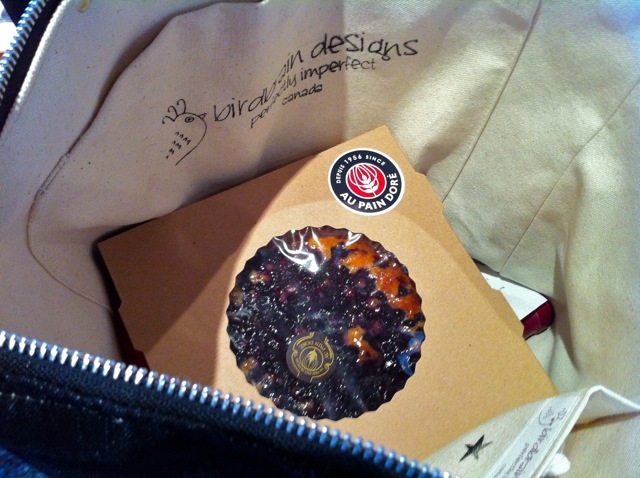 I love Montreal and we were able to take in several design shows as well as enjoy the cuisine and the landscape. I put more pictures on instagram–the button is under Navigation on the right. 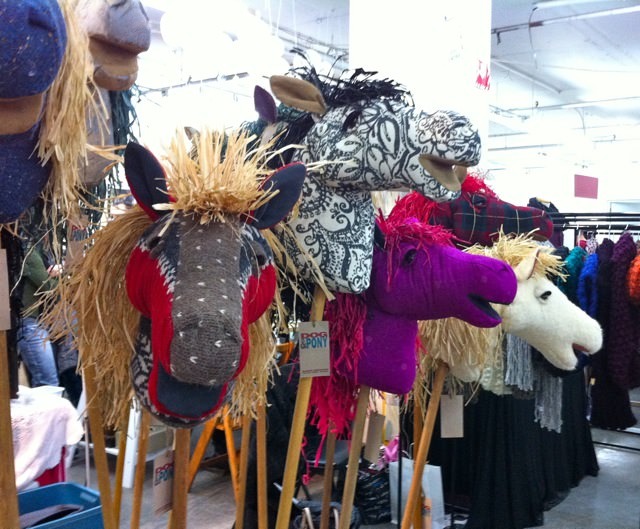 Below is a shot from Dog&Pony’s amazing hobby horses made from recycled fabric. 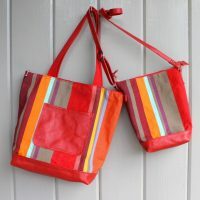 We saw these at the Smart Design Show and there are many more photos of great things at this link. I have fallen for boiled wool. I love the texture and the weight and of course the warmth. But I am coming to the end for this year. 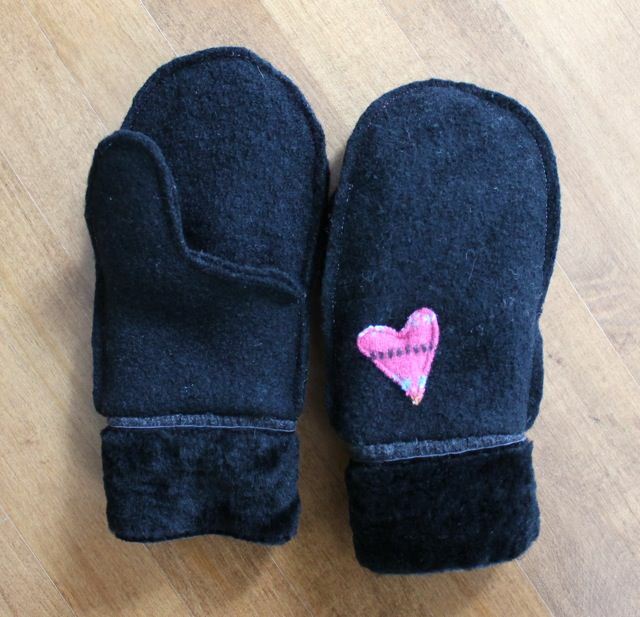 These are close to the last pieces for the season — Morticia finger frees and a pair of mittens with deep sheepskin cuffs. 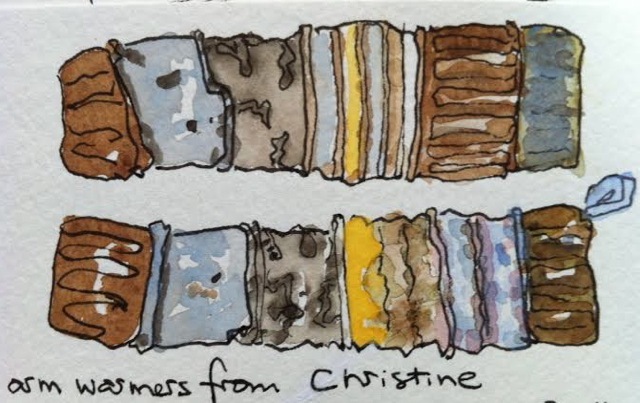 I couldn’t resist sharing a watercolour sketch which I received today — of a pair of my finger-free gloves. I think this perfectly captures the spirit of wearing finger-frees. 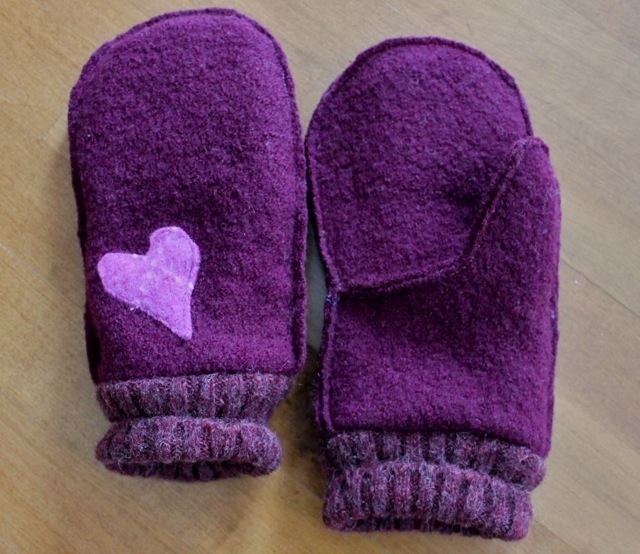 I have been busy filling orders for mittens, but there are also now some mittens made for the on-line store. 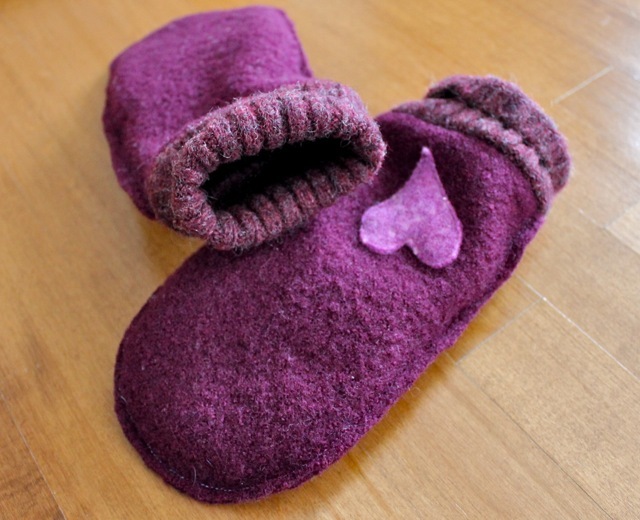 This first is a pair of grape boiled wool with wool cuffs and the second is a pair of red wool flannel with sheepskin cuffs. 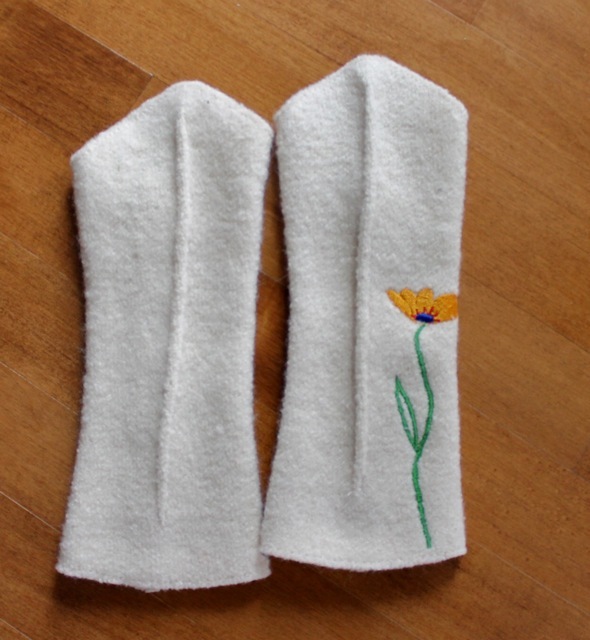 Both are made from recycled 100% wool sweaters and lined with wool scarves. 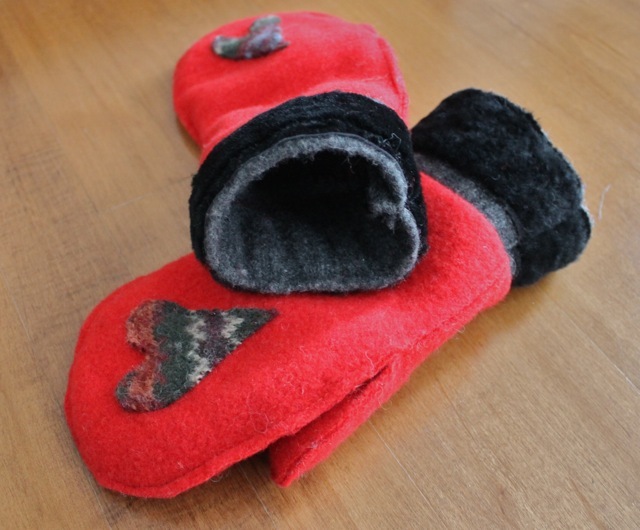 They are cozy warm and are now available in the store. The on-line store link is under Navigation on the right-hand side of the screen. I have been filling orders and there are still more to come. 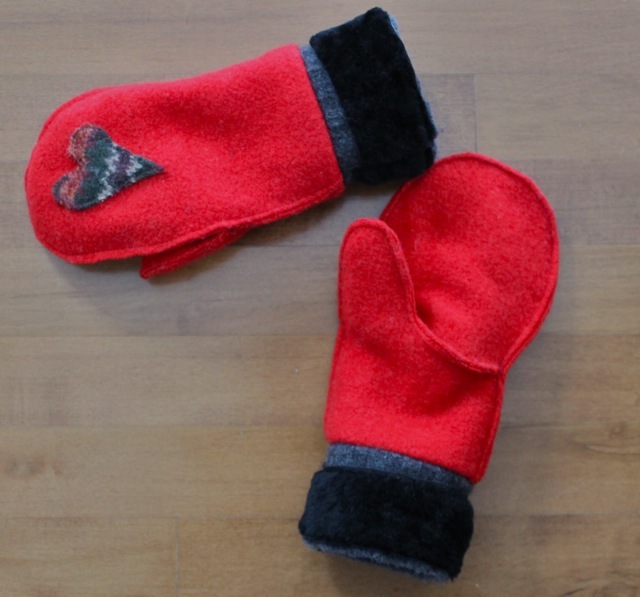 The finger-free gloves are surprisingly popular because they are really more of an indoor-accessory than a glove. 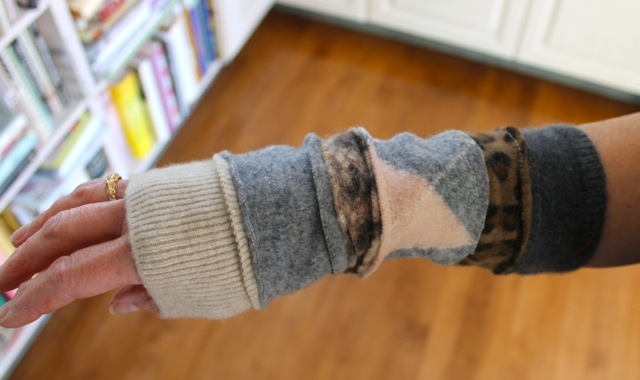 A functional sweater-bracelet which keeps you cozy and adds pizzaz. 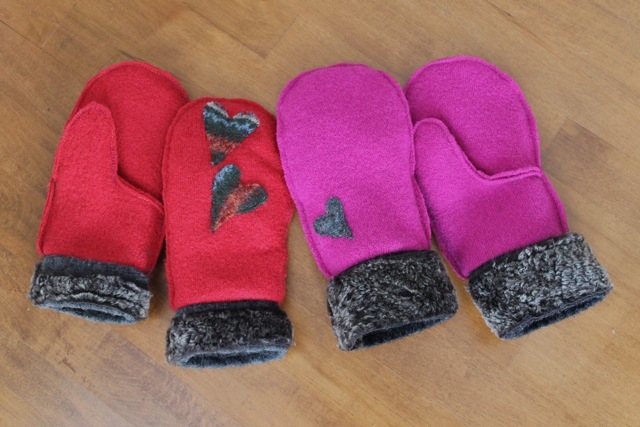 Below that are two pairs of boiled wool mittens with shearling. 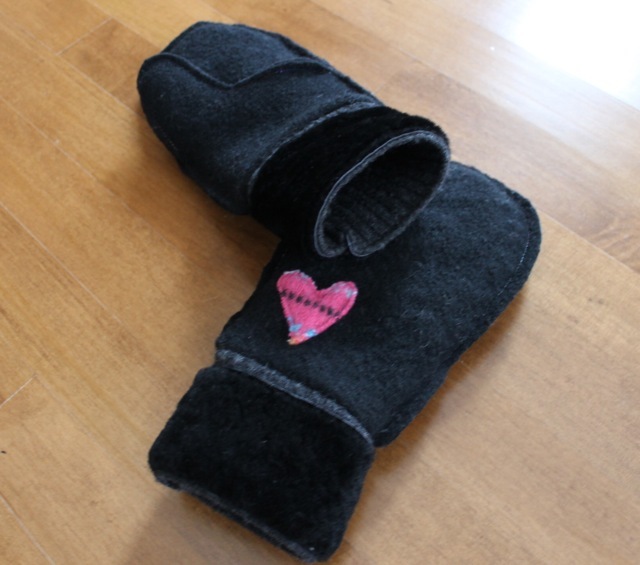 I found some great shearling remnants recently so I will be making more of these and hope to have them in the on-line shop soon. They are beyond cozy. The last picture is of some wonderful 100% wool and angora patterned sweaters I came upon. 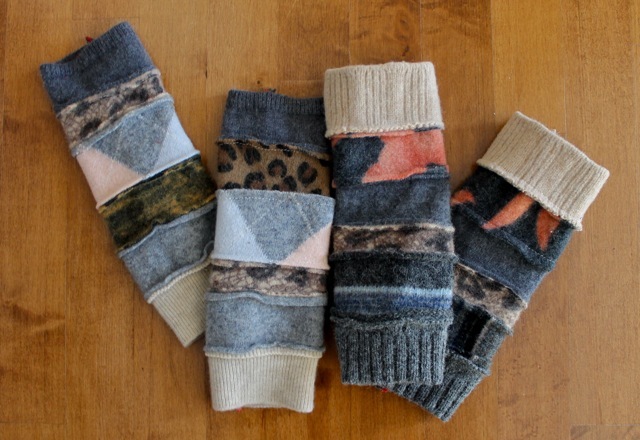 Just when I had given up hope of finding some good quality patterned woollen sweaters, these surfaced. 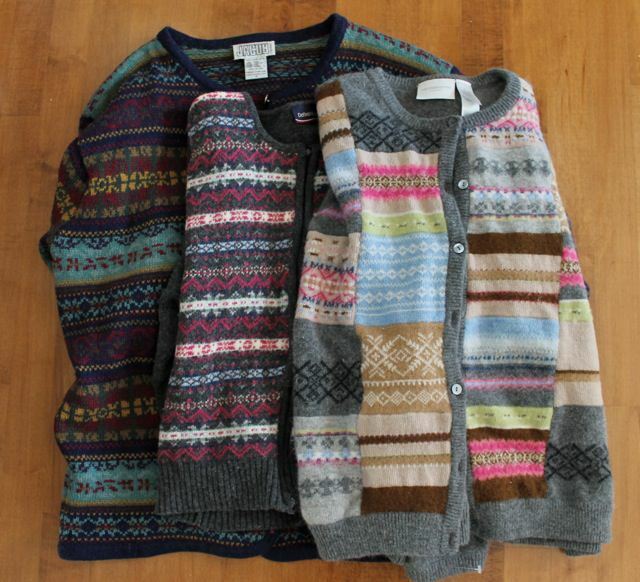 I grew up with fair-isle sweaters and I love them. What a treat to find these. 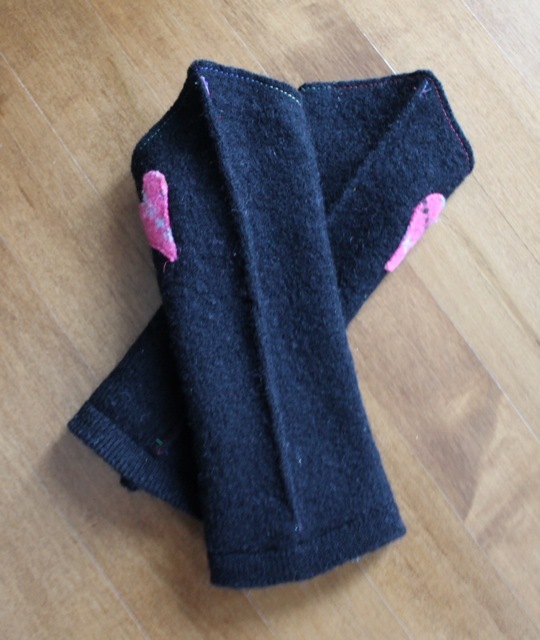 I have decided to give them a new lease on life as leg-warmers.